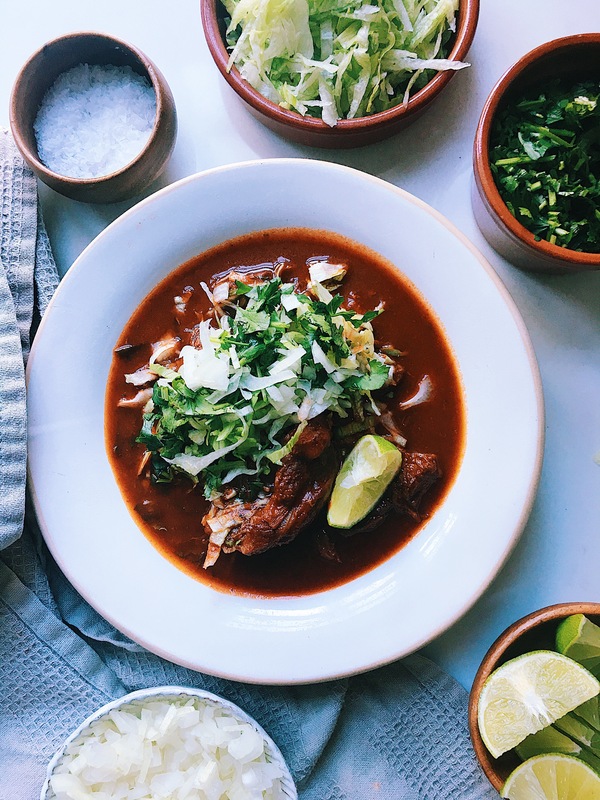 Today’s recipe is one of my old time yummy super mega favourite, birria! Yum! Birria is a stew originally from the state of Jalisco, specifically from the city of Guadalajara, but as any Mexican recipe, everybody seems to have their own version, so this is my version, I tried to make it as similar as the one they do in Guadalajara, but this is just the way I do it. I hope you like it. 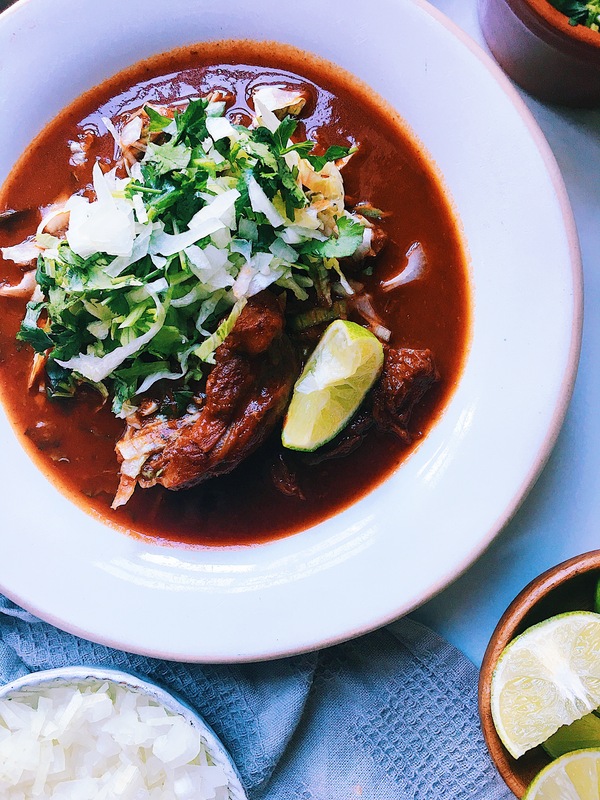 Birria is a delicious beef stew, the meat is marinated over night with an ancho chilli marinade and then cook slowly until the meat falls apart. 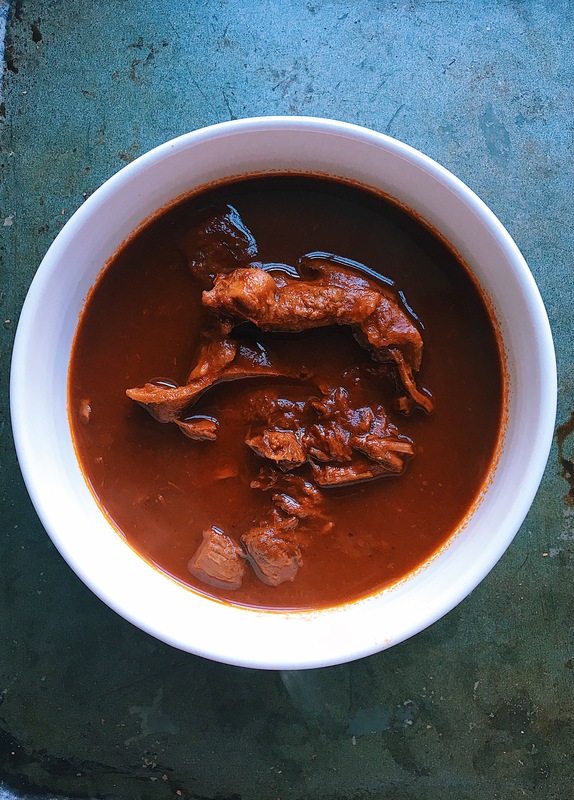 There are two versions of birria, the one make in the oven, not very juicy and the one that has a lot of juice or broth and it is serves like soup in a bowl. Put the ancho chillies in 2 cups of hot boiling water. Set aside for 10 min. Then put in a blender the tomatoes, onion, garlic, salt & spices (apart from the bay leaves) then add the ancho chillies, that by now they have to be hydrated, add the water where you soaked the chillies as well and blend until getting a smooth consistency. Once the ancho marinate is smooth & ready, add the beer and then pour it into the meat and leave over night. Put the meat with all the marinate in a large casserole dish (dutch oven) and add the bay leaves and some water until it covers the meat. Add more salt or a beef stock cube dissolved in water. Bring it to a boil at high heat and then turn the heat down and cook slowly for around 2 hrs or until the meat falls apart. It need to be juicy, with broth. Remove the bay leaves. Serve in a bowl with some shredded lettuce, onion, coriander & salsa, squeeze some lime and enjoy with some nice warm corn tortillas & a cold beer.